Cardiovascular disease is the major cause of morbidity and mortality in diabetic patients , who have a 200% to 400% greater risk of vascular disease than non-diabetics . Although the atherosclerotic plaques in the two groups are similar, diabetics have more severe and more diffuse disease than non-diabetics . Type 2 diabetic subjects without previous myocardial infarction were found to have the same increase in coronary artery disease (CAD) as non-diabetic subjects with CAD . However, although recent advances in the treatment of CAD have improved survival for diabetics and non-diabetics, diabetics still have double the case fatality rate as non-diabetics, and diabetic women have particularly poor outcomes [5, 6]. The high frequency of modifiable risk factors provides numerous opportunities for prevention, which should include such measures as glycemic control, aggressive risk factor modification, and ongoing patient surveilance and monitoring to facilitate early disease detection and prompt intervention. While early detection of diabetic patients with asymptomatic CAD can reduce mortality and morbidity of cardiovascular events, CAD is often asymptomatic and not typically accompanied by angina in patients with diabetes, making it very difficult to detect [7-11]. Because silent CAD has been associated with increased mortality [12-15], it would be important to be able to better identify high-risk asymptomatic individuals with diabetes. CAD has multiple classical risk factors, including ageing, hypertension, diabetes mellitus, smoking, and hyperlipidemia [16, 17] and the presence of multiple metabolic derangements in certain subjects has also been associated with a threefold increased risk of coronary heart disease, myocardial infarction and stroke and a three- to five-fold increased risk of cardiovascular death [3, 17-19]. In 1988, Reaven  called this cluster of factors syndrome X, with insulin resistance possibly being the common etiological factor. In 1998, the World Health Organization (WHO) proposed a unifying definition for the syndrome and chose to call it metabolic syndrome rather than insulin-resistance syndrome . In 2001, the National Cholesterol Education Program Adult Treatment Panel III (NCEP-ATP III) also defined a metabolic syndrome to draw attention to this clustering of multiple metabolic defects, suggesting that it has a common etiology and warning of the risk of cardiovascular disease . However, while subjects with metabolic syndrome do have a higher incidence of cardiovascular disorders [3, 18, 19] and patients with diabetes have a high prevalence of metabolic syndrome [18, 23], it remains unclear whether diabetic subjects with metabolic syndrome with no obvious clinical symptoms of ischemic CAD should undergo routine invasive or non-invasive treatment for coronary artherosclerosis. In this study, we attempt to find out whether metabolic syndrome can be associated with silent CAD and to define any early predictors of silent CAD in patients with type 2 diabetes mellitus (T2DM). We studied patients with T2DM who had already entered a disease management program at the Diabetic Clinic of Pingtung Christian Hospital under the guidance of the National Health Bureau of Taiwan from January 2001 to December 2003 [23-25]. The diagnosis of T2DM was based upon the WHO criteria . Patients with a known history of coronary artery, cerebrovascular or peripheral artery diseases, amputation, background/proliferative retinopathy or previous photocoagulation therapy, or serum creatinine greater than 2 mg/dl were excluded. Other exclusion criteria were age less than 40 or greater than 75 years; abnormal results of resting electrocardiography; uncontrolled hypertension (>180/100 mmHg); chronic liver disease; and other known cardiac disease as arrhythmias, valvular disease or cardiomyopathy. Patients with urinary tract infections, urolithiasis or known renal diseases were excluded because they might interfere with the evaluation of metabolic syndrome by microalbuminuria assessment. Each patient received a detailed interview about his or her personal disease history and smoking history, and each was evaluated by Rose questionnaire to confirm the presence of CAD. All study subjects were of Han Chinese origin, without any known ancestors of other ethnic origin, and living in the same region at the time of the study. This study was approved by the human research ethics committee of our hospital, and informed consent was obtained from each patient. All patients underwent a complete physical examination and routine biochemical analyses of blood and urine as well as an assessment for the presence and extent of macrovascular or microvascular diabetic complications. The anthropometric parameters required to calculate the body mass index (BMI) and waist to hip ratio (WHR) were measured. Seated blood pressure, plasma biochemical parameters, and urinary microalbumin were measured after overnight fasting. Plasma triglycerides, total cholesterol, LDL-cholesterol, HDL-cholesterol, uric acid, creatinine, and glucose were determined by standard commercial methods on a parallel-multichannel analyzer (Hitachi 7170A, Tokyo, Japan). Urinary albumin concentrations were measured by immunoturbidmetry (Beckman Instruments, Inc. Galway, Ireland). The detection limit was 2 mg/L, and the interassay and intraassay coefficient of variance was less than 8%. Hypertension (systolic blood pressure ≥ 140 and/or diastolic ≥ 90 mmHg and/or on anti-hypertensive treatment. Central obesity (males: WHR > 0.9; females: WHR > 0.85) and/or BMI > 30 kg/m2. Microalbuminuria (as evidenced by urinary albumin excretion rate ≥ 20 μg/min or albumin/creatinine ≥ 20 mg/g in patients with at least 2 or more tests showing significant results) or more advanced nephropathy. Dyslipidemia (plasma triglycerides ≥ 150 mg/dl and/or HDL-cholesterol < 35 mg/dl in men and < 39 mg/dl in women). Raised artery blood pressure ≥ 130/85 mmHg. Central obesity (waist circumference, male > 90 cm; female > 80cm). Serum HDL-cholesterol < 40 mg/dl in male or < 50 mg/dl in female. Because hypertriglyceridemia may be related to hyperglycemia in patients with type 2 diabetes , the definition of dyslipidemia in patients with type 2 diabetes was used only when the triglyceride or HDL-cholesterol were at abnormal levels after a 3-month control of blood glucose. Patients with normal resting 12 standard leads ECG were subsequently tested by treadmill exercise test as scheduled in Figure 1. Symptom-limited exercise testing was carried out in the fasting state. Throughout the exercise testing the ECGs were monitored on an oscilloscope and recorded on paper per minute. ECG recordings were obtained immediately after the exercise phase of the test, 30 seconds after exercise, and then every minute during the recovery period. Blood pressure was measured with a mercury sphygmoma-nometer every minute during the test and after exercise. Exercise was continued until 90% or more of the predicted maximal heart rate for age was achieved. The exercise test was interrupted if there was an occurrence of dyspnea, fatigue, or multiple ventricular ectopic complexes. Stress testing was terminated within 60 seconds when an ischemic ST segment response was detected. A positive test result was defined as horizontal or down-slopping ST segment depression of at least 1 mm at the J point or slowly upsloping ST segment depression of 2 mm or more 0.08 second after the J point. The ST segment was analyzed "blindly" by a qualified Cardiologist. When the exercise ECG showed a ST depression in five or more leads, >2 mm maximum ST depression, a positive test with a heart rate <120, hypotension during exercise, or exercise capacity <5 minutes were considered strong positive. If an exercise ECG test was not possible, thallium myocardial scintigraphy with exercise testing and dipyridamole injection was performed. Patients with highly positive results of exercise ECG or significant myoischemic scintigraphy study were recommended to undergo diagnostic coronary angiography. The patients were all thoroughly informed about the procedure, risk, and possible benefits of coronary angiography, and informed consent was obtained from all those who later underwent the test by a member of our Heart-Care team. Using the Judkins technique, standard coronary angiography was performed and included views of selective engagement of the right and left coronary arteries and angulated views sufficient to completely display the coronary tree. Coronary angiograms were analyzed blindly by independent observers. The degree of stenosis of the coronary arteries was assessed by comparing the diameter of the stenotic area with the prestenotic part in at least two projections. The stenosis was considered significant if there was a 50-percent or more narrowing of the lumen in the left anterior descending artery or its diagnonal branch, the left circumflex artery or its obtuse marginal branches, or the right coronary artery. The data are shown as the mean ± SD. All statistical analyses were performed using the Statistical Package for Social Science (SPSS for Windows, version 10.0, SPSS Inc, Chicago IL) program. The statistical differences in variables were compared using unpaired t test for normally distributed variables. Before statistical testing, serum triglycerides were logarithmically transformed to achieve a normal distribution. The Pearson χ2 test was used for comparison of frequency. Association between silent CAD and all other parameters were first analyzed by univariate analysis and then by multivariate logistic regression analysis. The multi-variate-adjusted odds ratios (ORs) are presented with 95% confidence intervals (CIs). A p value <0.05 was considered significant. We studied a total of 850 highly compliable type 2 diabetic patients without any clinical and ECG evidence of CAD. Of the 850 patients, 358 subjects received exercise tests. Twenty subjects were excluded because they stopped before the desired heart rate was achieved or because they were unable to complete the test due to dyspnea, fatigue, leg pain, and appearance of multiple ventricular ectopic complexes. Out of 145 positive exercise tests, 65 were interpreted as strongly positive. Three out of ten patients who were unable to perform an exercise test due to osteoarthritis received a thallium scintigraphy examination and were found to have significant coronary artery ischemia. Patients with strong positive exercise test or significant thallium scintigraphy ischemia were recommended to receive a diagnostic coronary angiographic examination. Sixty patients out of 68 gave written consent. Twenty-two patients were found to have significant 3-vessel stenosis, 6 2-vessels stenosis, 20 1-vessel stenosis. Nine were found to have no significant coronary artery stenosis (Figure 1). Figure 1. Diagnostic procedure of silent coronary artery disease in patients with type 2 diabetes mellitus. Tables 1 and 2 present the clinical characteristics of patients with positive exercise tests and significant coronary artery stenosis compared to patients with negative treadmill tests and negative angiographic studies. Patients with positive exercise treadmill tests or significant angiographic coronary stenosis were found to be older and have a longer known duration of diabetes, higher serum uric acid level and a higher prevalence of diabetic nephropathy. Patients with significant coronary artery stenosis were found to be predominantly male and have a higher prevalence of WHO-defined hypertension, more of the factors of metabolic syndrome outlined by WHO and a higher prevalence of smoking. No significant differences were found between the glycemic control, serum lipid profiles, or the component of NCEP-ATP III-metabolic syndrome, or WHO-metabolic syndrome with silent CAD (Table 2). Univariate analysis revealed that age, gender, known duration of diabetes, smoking status, serum uric acid level, presence of WHO-criteria of hypertension and nephropathy were significantly associated with the silent CAD. A multiple logistic regression analysis was performed with presence/absence of silent CAD as the dependent variables and the following as predictive variables: age, gender, known duration of diabetes, smoking status, serum uric acid level, presence of WHO-criteria of hypertension and nephropathy, BMI, systolic BP, diastolic BP, HbA1c, total cholesterol, and HDL-cholesterol levels. Analysis showed nephropathy to be the only independent risk factor for silent CAD (OR = 2.30, 95% CI = 1.07-4.93, p=0.03, Table 3). Legend: Data are means ± SD. Non-CAD: negative treadmill test and negative angiographic study patients. DMDU: known diabetic duration. BMI: body mass index. WHR: waist-hip ratio. SBP: systolic blood pressure. DBP: diastolic blood pressure. T-CHOL: total cholesterol. TG: triglyceride, LDL-C: low density lipoprotein-cholesterol. HDL-C: high density lipoprotein-cholesterol. UA: uric acid. ns: not significant. a Positive treadmill group vs. Non-CAD group. b Positive angiographic group vs. Non-CAD group. Legend: Non-CAD: negative treadmill test and negative angiographic study patients. NA: normoalbuminuria, MA: microalbuminuria, OP: overt proteinuria, HDL-C: high density lipoprotein-cholesterol OHA: oral hypoglycemic agent, ns: not significant. 1 The definition and criteria of WHO and NCEP-ATP III metabolic syndrome are described in the text. a Positive treadmill group vs. Non-CAD group. b Positive angiographic group vs. Non-CAD group by Pearson χ2 test. Legend: Model Chi-square = 32.75, p = 0.002. OR: odd ratio, BP: blood pressure. DMDU: known diabetic duration. BMI: body mass in-dex. WHR: waist-hip ratio. T-cholesterol: total cholesterol. LDL-C: low density lipoprotein-cholesterol. HDL-C: high density lipo-protein-cholesterol. ns: not significant. 1 by Pearson's correlation test. 2 by logistic regression analysis. Previous studies have reported a broad range of prevalence rates of silent CAD, ranging from 9 to 57% [7, 8, 28-30]. The present study does not intend to investigate the actual prevalence of silent CAD in a Chinese population with T2DM, while our results showed that at least 19.4% (=51/(193+60+10)) type 2 diabetic patients have silent CAD. These differences in prevalence are probably due to differences in the population studied, screening technique used, and the diagnostic criteria. Our study patients consisted only of patients with type 2 diabetes with a high prevalence of metabolic syndrome (78.5%). In our study, only patients with strong positive exercise ECG test or scintigraphy scan examination subsequently received a diagnostic coronary angiography. Most importantly, our results confirm previous investigations that found the presence of micro-/macroalbuminuria to be an independent predictor of silent CAD in patients with T2DM [31, 32]. However, our results did not find any association between WHO- or NCEP-ATP III-metabolic syndrome with silent CAD. Using the 1998 WHO proposed definition of metabolic syndrome, studies of a Scandinavian population revealed that about 10% of those with normal glucose tolerance, 50% of those with IGT and 80% with type 2 diabetes had the metabolic syndrome . Moreover, the risk of coronary heart disease and stroke was increased threefold in subjects with the syndrome and cardiovascular mortality was markedly increased in subjects with the metabolic syndrome [17, 18]. Although Isomaa et al. concluded that the WHO definition of metabolic syndrome could identify subjects with increased cardiovascular morbidity and mortality and even offered a tool for comparing results from different studies , our present study showed that the WHO-/NCEP-ATP III-metabolic syndrome could not sufficiently predict the presence of asymptomatic CAD. We also did not find that the number of risk factors in either definition has any association with silent CAD in patients with T2DM. Our study did show the presence of micro-/microalbuminuria to be associated with asymptomatic CAD, probably showing micro-/microalbuminuria to be an indicator of vascular injury rather than just to be a "risk factor" contributing to the development of atherosclerosis. Other studies have also found the presence of metabolic syndrome to be associated with a threefold increased risk of coronary heart disease, myocardial infarction and stroke and a three- to fivefold increased risk of cardiovascular death [19, 33]. The executive summary of the third report of the National Cholesterol Education Program (NCEP-ATP III) expert panel on detection, evaluation, and treatment of high blood cholesterol in adults has already recommended that diabetic patients be treated as CAD-risk equivalents. However, the screening of diabetic patients for coronary artery ischemia is difficult for they lack obvious clinical warning symptoms [7, 8]. The American Diabetes Association and the American College of Cardiology convened a conference in 1998 to provide guidance to physicians faced with this difficulty . The presence of multiple risk factors in the same patient substantially increases the possibility of that patient having ischemic coronary artery disease. These risk factors include elevated total cholesterol or LDL-cholesterol, decreased HDL-cholesterol level, hypertension, smoking status, family history of premature coronary artery disease, and positive micro-/macroalbuminuria. Of these risk factors, positive micro-/macroalbuminuria has been found to be the most independent significant predictor of silent CAD in patients with diabetes [31, 32]. In fact, the presence of multiple risk factors other than micro-/macroalbuminuria was not found by some to be associated with asymptomatic CAD . The first definition and diagnostic criteria of metabolic syndrome was introduced by WHO in 1998 and then by NCEP-ATP III in 2001. The association with metabolic syndrome and artherosclerosis as coronary artery disease or cerebrovascular disease led to these definitions being used as a golden definition of metabolic derangement that might be resulted from insulin resistance. Our study failed to demonstrate a positive association of silent CAD with metabolic syndrome as defined by either WHO or NCEP-ATP III in patients with T2DM, suggesting that metabolic derangements may be another risk factor but not an indicator of cardiovascular disease in patients with diabetes. Thus, from our study, it can be found that the major difference in definition/criteria of metabolic syndrome by WHO or NCEP-ATP III is the presence of nephropathy. Because it is an important predictor of cardiovascular disease, NCEP-ATP III should consider adding it to its revised criteria of metabolic syndrome. Twenty-two out of 51 patients receiving the diagnostic coronary angiography showed 3-vessel disease. Three out of the 22 had significant (>75%) left main coronary artery stenosis, for which coronary artery bypass surgery was performed. This finding is surprising to cardiologists who find it unbelievable that in these patients CAD is silent. In 30 out of the 45 patients with over 75% stenosis present in at least 1 coronary vessel, stents were implanted. The other 15 patients received a PTCA procedure to dilate the coronary artery. It is still inconclusive that aggressive invasive treatment of such silent CAD by modern technology would offer better prognosis . A lot of work has been published and prognosis can be improved by starting aggressive treatment with ACE-inhibitors, β-blockers, or statins [36-38]. A target-driven, long-term, intensified intervention aimed at multiple risk factors in patients with T2DM and microalbuminuria has been reported to reduce the risk of cardiovascular and microvascular events by about 50% . However, many patients with diabetes, hypertension, or dyslipidemia who have or are at risk of CAD do not reach target goals . Detecting high-risk patients early and motivating them to make changes in risk factors may improve modifiable cardiovascular disease in a case management program  such as in our diabetes care program. The therapeutic outcome, response to different therapeutic regimen, and cost-effectiveness of the treatment of our patients need further clarification. Microalbuminuria is associated with an increased risk of cardiovascular and renal disease in patients with diabetes mellitus [41, 42]. Microalbuminuria is also a well-known independent predictor of all-cause mortality and macrovascular disease endpoint, and silent CAD in patients with diabetes . Our results showed that the presence of nephropathy (micro-/macroalbuminuria) is the only predictor of silent CAD in a Chinese population with T2DM, underscoring the importance of micro-/macroalbuminuria in patients with T2DM. The presence of micro-/macroalbuminuria indicates the reno-vascular damage characterized by basement membrane thickening, increased glomerular matrix, increased intraglomerular pressure, and glomerular sclerosis . This phenomenon may be the consequence of chronic hyperglycemia or other metabolic derangements leading to vascular injury and increased transvascular leakage of albumin. The fact that the appearance of microalbuminuria is also a significant indicator of macrovascular event in non-diabetic patients [45-48] strongly suggests that micro-/macroalbuminuria is an indicator of generalized vascular injury rather than a member of metabolic derangement of metabolic syndrome or insulin resistance . The leakiness might be due to hemodynamic factors or structural or functional perturbations of endothelium or the intracellular matrix beneath [49, 50]. The systemic transvascular leakiness may also include lipoproteins, thus allowing for increased lipid penetration into the vessel walls and initiating the inflammatory process of artherosclerosis. 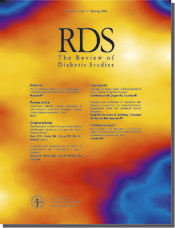 Thus, while the presence of metabolic syndrome may indicate the increased risk of cardiovascular or microvascular disease in patients with diabetes, it is not a good predictor of silent CAD in patients with T2DM. In the Milan Study on Atherosclerosis and Diabetes study, an independent association was found between cholesterol and silent ischemia in men , we did not find any significant difference in the lipid profiles of diabetic patients with or without silent CAD. Cardiac autonomic neuropathy has been suggested as a predictor of silent myocardial ischemia  yet the relationship between silent CAD and autonomic neuropathy has not been clearly established . Indeed, although some studies documented that autonomic neuropathy involving the cardiac system may be the cause of silent CAD in diabetic patients, others have not . There are other risk factors (indicators) reported to be associated with silent CAD, such as lipoprotein a concentration, apo(a) polymorphism, and homocysteine levels , but larger studies are needed to confirm these associations. There seems to be no singular cardiovascular risk factor able to identify diabetic patients who need screening for CAD without clouding symptoms . However, our study may underscore the possible role of micro-/macroalbuminuria in predicting silent CAD. We conclude that patients with T2DM should be routinely screened for micro-/macroalbuminuria and that the presence of nephropathy is an early indicator of CAD. We highly recommend this as the subsequent approach for detecting the presence of coronary artery ischemia. Acknowledgments: We are grateful to the staff of the diabetes and heart care teams for their assistance in various measurements and other organizational aspects of this study. This work was supported by a grant from the National Science Council of Taiwan (92-2314-B-475-001).